The event will start with informal networking where you can meet other assistants with hot/soft drinks and cakes to start. Our networking is easy-going and friendly. If it is your first visit you will be introduced to others so you don’t have to worry about being left standing on your own. This is a forum to meet other peers from your profession in a relaxed atmosphere while learning and developing at the same time. We will finish the evening with our prize draw. Most people find it challenging enough to work well with ONE Executive, but if you’re working for two – or MORE – the challenge is stressful at best. Are you dealing with two or more workloads, managing multiple communications and schedules, multiple projects and more? This session will explore practical tips for productivity and time management that will ensure that you can prioritise, juggle and support your numerous Executives effectively and without stress. Lucy Brazier is the world’s leading authority in the administrative professional industry. Her passion is for the Assistant role to be truly recognised as the Business Partnership that champions the individual and the company/people they work with. Her formidable training expertise and speaking style have given her opportunities to train, present and Chair in over 40 countries at over 400 events including Chairing the 2015 World Administrator Summit in Papua New Guinea. This has created much needed discussions to encourage Executive Assistants in Blue Chip companies to work towards becoming a centre of excellence within their company, and college students to see the Assistant role as proper profession with a career path. Lucy has a unique overview of the role and where it is heading. With access to the most forward thinking, passionate and knowledgeable trainers in the world as well as personally meeting and speaking to literally thousands of PAs over the last five years, Lucy’s knowledge of the market and what Assistants all over the world are facing on a day to day basis are second to none. In 2015 Lucy was awarded the ‘PA Contributor of the Year Award’ by Office*. The magazine has been a finalist in both the PPA Business Magazine of the Year Award and the PA-Assist Members Awards. Lucy runs a LinkedIn group for assistants which currently has over 42,000 international members who share information, network and learn. She also launched #adminchat in January 2012 – a weekly free training session presented on Twitter and hosted by a different world-class trainer every week. Now boasting an average of over 3,000 attendees a week, #adminchat is a manifestation of Lucy’s commitment to providing the very best training to assistants all over the world. 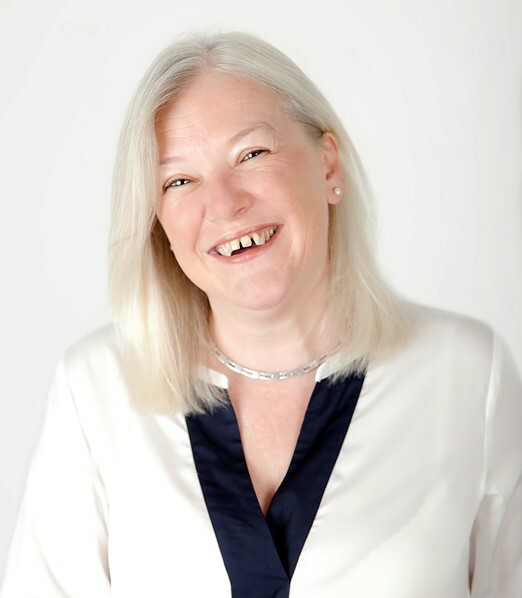 Lucy has been a Publisher and Events Organiser for 28 years. Lucy has previously worked as a Publishing Director for Wilmington PLC, and has managed a team based in Singapore, New York, Germany & London responsible for 13 magazines, 12 international conferences, awards, trade show attendance and marketing for EMAP. Other companies worked for include The Times, The Independent, Centaur Communications and Glass’s Guide. We are delighted that Aer Lingus will be joining us at the event. PRIZE: PAIR OF LIVERPOOL TO DUBLIN FLIGHTS TO BE WON ON THE NIGHT! We also have a signed book to give away from The PA Hub’s latest visit to Executive Secretary LIVE in South Africa where we met Laura Schwartz, Former Events Director at The White House during the Clinton presidency and we have her signed book on offer – Eat, Drink and Succeed. This event is free for PA Hub members to attend. New attendees are welcome to attend for free if you haven’t attended a PA Hub session before. You can come along as a guest by registering in the non-member area quoting TRIAL100 in the promotional box and it will give you a free place so you can try before you buy. If you are not a member and have attended before you can attend for £15.00 (inclusive of vat) as a special offer for this event by registering in the non-member area quoting DISC15 in the promotional box and it will give you a place for £15.00 instead of £24.00 (inclusive of vat) on a pay as you go basis. This event is for Personal Assistants, Executive Assistants and Virtual Assistants, Secretaries or other similar roles.